NEW Collection of mugs for dog lovers. 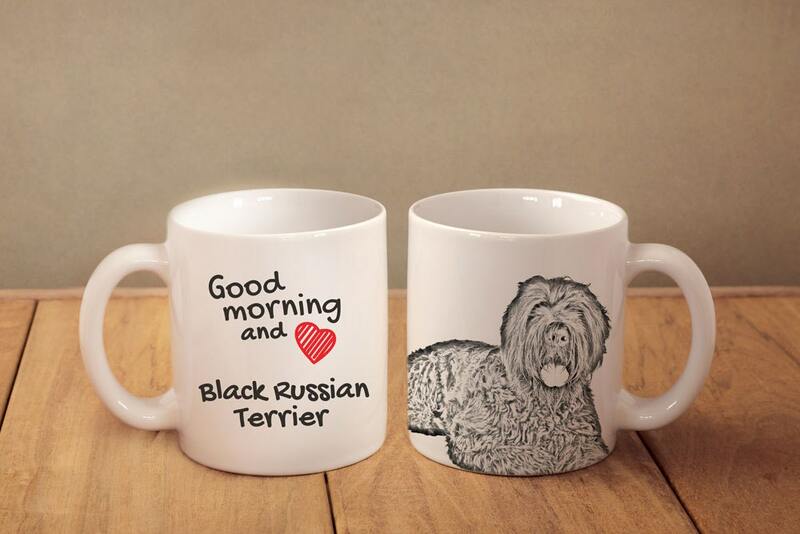 A mug with a picture of dog - and caption "Good morning and <3 ..."
According to polyester film on the mug, the print is made with sublimation and is very durable and irremovable. The mug is fit for hand-washing and dish-washers. The mug is sent in cardboard packaging.